“From” is such a complicated question! I live in California in the San Francisco Bay Area (but not in SF itself). For several years now I’ve being doing the Lesbian Historic Motif Project as a blog and I was casting about for ways to bring the content to other audiences. I also wanted a chance to bring some of the historic texts to life more. People don’t necessarily find the time to read long text excerpts in a blog, but doing readings in an audio format felt like it might work better. 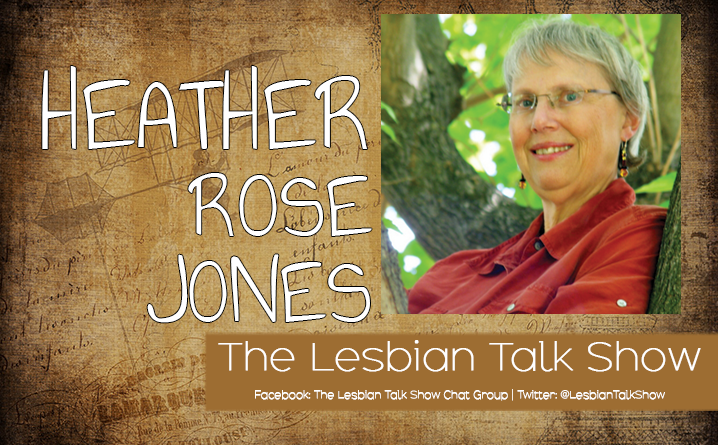 I tell stories about women in history and literature who might be lesbians if they lived today. I hope everyone will enjoy it! But it would appeal to people who are interested in people, places, and times different from their own. People who who enjoy having their minds expanded and their myths exploded. Hard to tell at this point. I’ve only had a couple of episodes go live so far and haven’t really gotten any feedback on their reception yet. So the rewards are all internal currently. Mostly a chance to play around with different formats. My biggest challenge is working up to a balance between a pre-written script and simply talking spontaneously about my subject. I think you can still hear the seams beween the two modes in my current episodes. Probably something different than what I’d predict! (And the answers for interesting, surprising, and unique are all different.) I have some very broad interests and I’ve done a lot of odd hands-on projects relating to my historical interests. From a writing point of view, people might be most surprised to learn that my first published book was Baby Names for Dummies (under the pen name Margaret Rose).